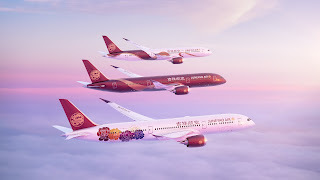 Juneyao Airlines recently announced the planned suite of services for its first 787 Dreamliner, including the promotional video "Dream a Journey; Share a Trip", the fine design of the seats and cabin interiors, and the special liveries of the 787 fleet. The array of unique service offerings is meant to demonstrate the superior features of the premium aircraft and how the airline stands unique and apart from its rivals with the mission of delivering Juneyao Air's brand initiative "Warm Journey Beyond Imagination". 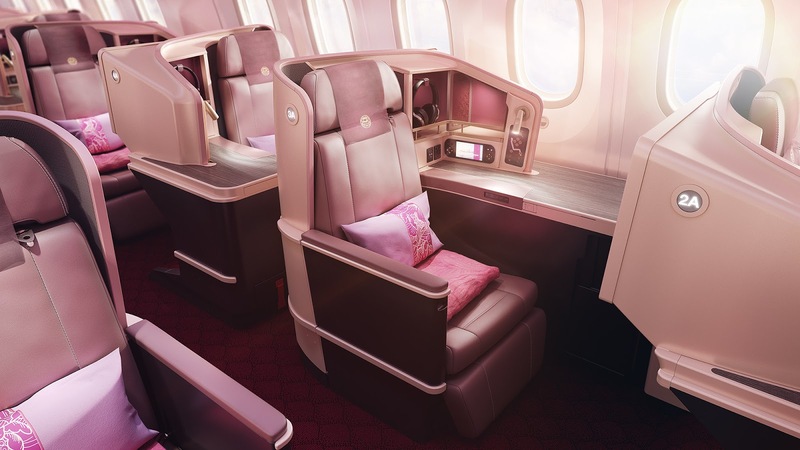 Juneyao Air expects the theme of "Dream a Journey; Share a Trip" to become synonymous with the interior design of the Boeing 787 Dreamliner, transforming each flight into an auspicious start of or pleasing end to the dream voyage that the passenger is looking forward to or just concluding. 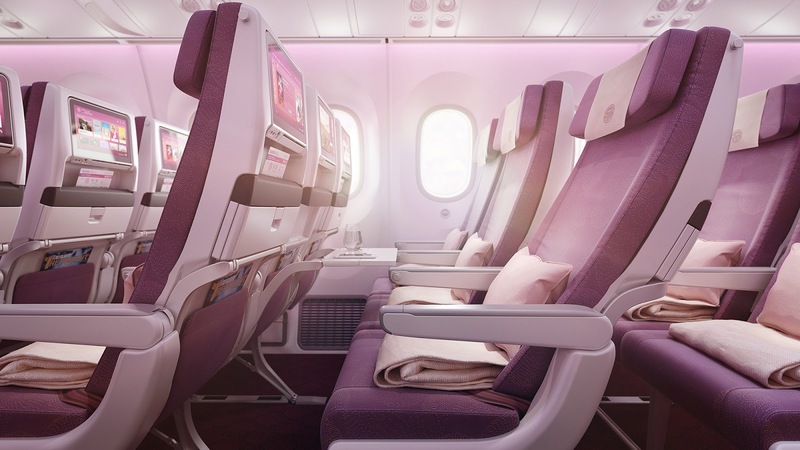 The airline plans to roll out a series of new service features in business class: 29 highly customized 1-2-1 configuration Thompson Vantage XL full-flat seats that give the passenger additional private personal space and ensure a more comfortable flight experience. Seats are designed with a gentle massage feature, an adjustable multifunctional light source and a larger storage space. The airline's mission is to create a more distinguished, fashionable and differentiated travel experience. The economy class incorporates a 3-3-3 layout, making more efficient use of the wide-bodied aircraft's space. Optimized cabin space planning and the highly acclaimed Recaro CL3710 seat delivers legroom up to 32 inches. Each seat is equipped with a next-generation Panasonic 12-inch high-definition personal entertainment system and a separate USB port. In addition, the seat headrest can be adjusted in nine directions, assuring a relaxed and refreshed passenger, even after a long flight. A next-generation high-flux onboard satellite communications system keeps the traveller constantly connected even while cruising at 30,000 feet. Juneyao Air's image as a carrier that puts the comfort of the passenger first can be felt everywhere in the design once one enters the cabin. 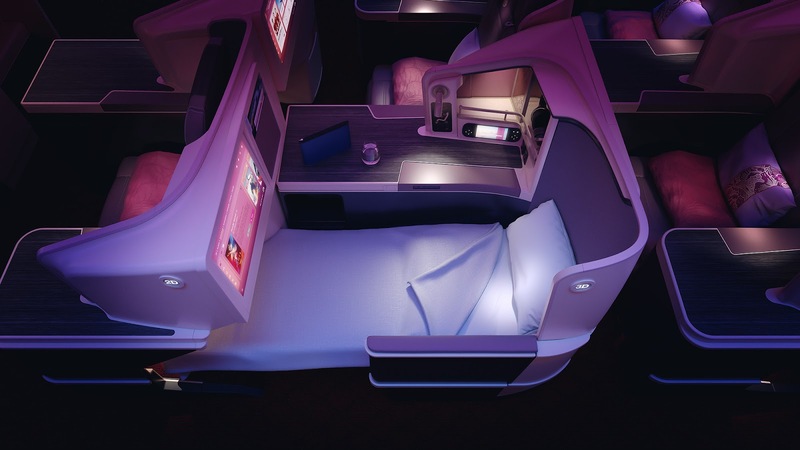 The configuration management team has specially customized a blend of seven kinds of light and shadows which, in Chinese traditional thought, symbolizes good fortune for the cabin and all that is within, while, at the same time, delivering to passengers a relaxing, easy-on-the-eyes visual experience. Quentin Bisch, one of the famous perfumer from Givaudan, created a special fragrance exclusively for the airline, adding a pleasing aromatic scent to the comfortably decorated cabin. Besides, the onboard service also includes a selection of alcoholic drinks, custom-made meals and special afternoon teas. The special liveries of Juneyao's 787 fleet are bound to draw the attention of passengers as they board the aircraft. 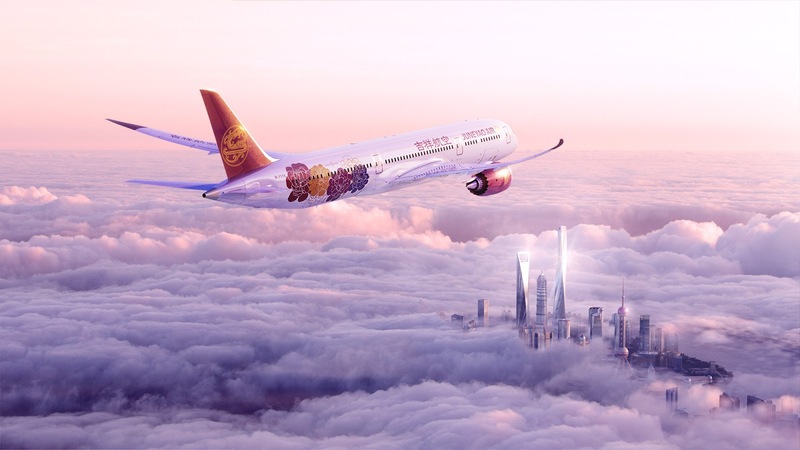 The first 787 will feature the"Chinese Peony" livery symbolizing good fortune. As China's national flower, the peony stands for elegance, wealth and magnificence, which makes the flower a perfect fit with the airline's brand image and vision for the future. Moreover, the "Chinese Peony" 787 echoes the existing "Chinese Peony" A320s that were painted in celebration of the company's tenth anniversary, and marks Juneyao Air entry into a stage where both short- and long-haul flights have become part of the roadmap. Meanwhile, the second, the third and the fourth 787 will be painted the "Chinese Ribbon" livery. The idea of using Chinese red silk ribbons as the theme symbolizes the airline's entry into a new era while representing its contribution to the One Belt, One Road initiative and further realizing the continuous development and aviation dream of the company.